This week over at Everybody Art challenge the theme is Pirates. 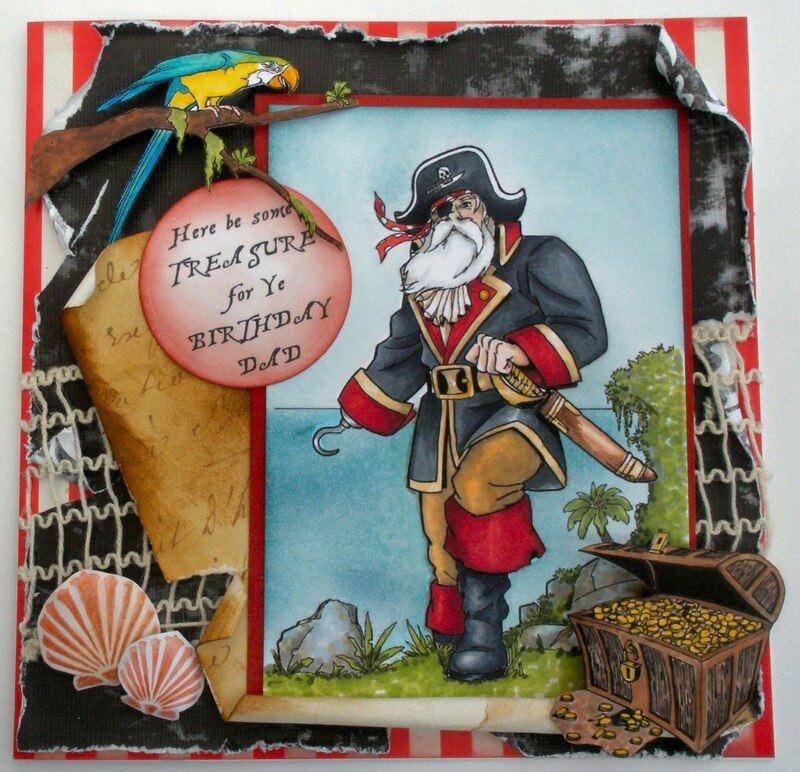 At first I didn't know what to create as I had no pirate stamps and no little boy to make a card for. I don't know how you feel on the subject but crafting is a very expensive hobby if you purchase a stamp for each theme. I had noticed on a few blogs, other people that had made some fantastic card designs using Magnolia or Mo Manning stamps. I wanted to find an image that hadn't been used before, so after searching the web for hours, I came across an old pirate that was perfect for an old guy and it was free to use! When I say free, there are obviously terms and conditions, one of these being for personal use only. My card is, because it is for my Dad's birthday. 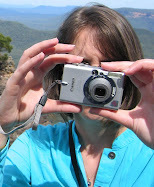 I also found lots more free images on a range of subjects. Enough I hear you say, where did you get it from? The pirate is from www.Supercoloring.com and the parrot is from www.coloring-pictures.net these sites are aimed at children and schools. Another site with a variety of images is www.cksinfo.com I think I found the chest on this site. As always the image has been coloured with copics. The red stripe paper was a freebie in a magazine some time ago. The black paper is from Black Market Paper Society - Arsenic & Old Lace. The brown paper is from an old K&Co pad, distressed with ink. The shells are from the new Magnolia Summer kit. Some of you have asked where I got the motorbike rider image from. Sorry I haven't replied sooner, I have been on a long holiday. The image I got quite some time ago and have not been able to find it again. Whilst looking for you I came across some similar images and these you will not need to purchase coloring-pages-to-print.blogspot or Karensdoodles.com has a great image to buy called, "Born to Ride"
Thanks for looking and have a great week hunting for new images. This is stunning Jenny, wonderful work. What a stunning card!! Just something else and not so typical and I love it! !